2003 Honda CB 1300 Super Four. Federrico. Submit more pictures. Below is the riders' rating of the 2003 Honda CB 1300 Super Four motorcycle. If you disagree, please rate it. Adjusted rankings are published every saturday morning to reflect more riders' opinions and more experience with, for example, repair costs. 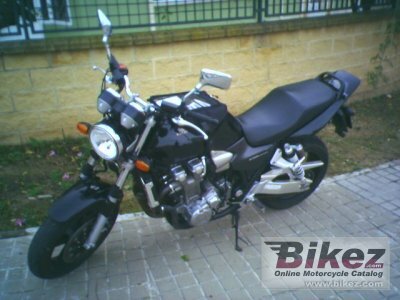 You can comment on the 2003 Honda CB 1300 Super Four at our discussion forum for this bike. Write a rewiew if you have extensive knowledge you want to share. Technical data are available at our specification page for this motorcycle. You help your fellow riders choose their next bike by rating this bike.